Could this be the new young face of the Tories? The new vice chair of youth for the Conservatives says he faces “a huge challenge” in trying to get the party to appeal to young people. 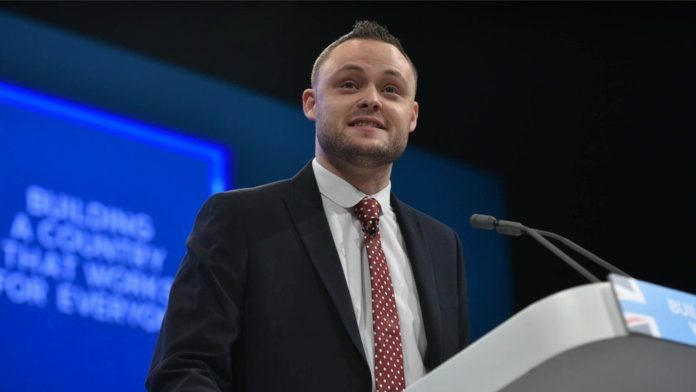 Ben Bradley, the Conservative MP for Mansfield, is the first person to hold the newly-created role. The 28-year-old was appointed on Monday in Theresa May’s reshuffle. The Conservatives struggled to win young people’s votes in last year’s general election. Jeremy Corbyn’s Labour Party appealed to young people partly through social media – something Bradley thinks his own party needs to improve on. Celebrities, including a number of Grime artists, also came out in support of the Labour leader. “We do need to make more of those people out in popular culture who are Conservatives,” says Bradley. Admitting that “we’re not always the most engaging group of people as politicians,” Bradley is keen to show that Conservative MPs are more diverse than the public may think. A university drop-out, the Mansfield-born MP has had 11 jobs in his life, including as a shelf-stacker in Aldi, a recruitment consultant and a landscape gardener. But any improvement in image would have to be backed up with policy, he says. The Conservatives cut housing benefits for 18 to 21-year-olds, introduced a lower minimum wage for under-25s and is the only major party against lowering the voting age to 16. “I absolutely agree that we need to address those things,” says Bradley. “We had the 18-30 railcard in the Budget – that actually went down really well with people. “But it can’t just be one little side policy that’s going to revolutionise things. “It’s got to be a top-down decision to think about young people with every decision we make.